As Back to School is going to head around the corner faster than we can say Summer Holidays I thought I would do a quick round up of school uniform prices from the High Street and Supermarkets. Each year the prices get more competitive as each shop fights for our custom at this costly time of the year. I have two new uniforms to buy this year and so I have been on the look out for what is on offer and what the prices are like. Offering free delivery on school wear when you spend £25 or more, just add code BTS2014 at checkout. Skirts from £3 upwards in a variety of styles including skater style, pleated, flippy skirt, jersey skirt and more. Trousers from £3 in both boys and girls styles. Available in grey, charcoal, navy and black. Cardigans from £4 in a variety of colours including navy, red, royal blue and burgundy. Jumpers both round neck and v-neck from £2 including navy, red, green, purple and royal blue. Pinafore dresses from £5 and many, many styles to choose from and lots of colours too. Lots more available in store and online including plimsolls, swimming costumes, shirts, blazers, hair accessories and more. Currently running their Clubcard Boost scheme. So if you have vouchers to use you can exchange every £5 worth of clubcard vouchers for £10 worth of clothing vouchers. They also have an embroidery service where you can have your Tesco uniform embroidered with the school logo. See here Embroidery Service for more details. Polo shirts start at £2.50 for a pack of two. Available in white, yellow, navy, royal blue, burgundy, green, red and light blue. Skirts start at £3 and come in various styles and colours. The jersey skirts is from £3, permanent pleated skirts are also from £3 and there are also belted skirts from £5. Cardigans and jumpers from £2 in a large variety of colours and styles. Pinafore dresses from £5 in a variety of styles and colours. As with Asda, Tesco also have a huge range of school shoes, socks, hair accessories and more. A three pack of polo t-shirts from Matalan starts at £4 and comes in five colours. Pinafore dresses start at £6 each and come in a variety of styles and colours. They also have some summer dresses online too. Trousers start at £3 per pair with a few styles currently showing 20% off in their online store. Skirts start at £3 each and come in a range of styles and sizes, there is also a two pack of skirts currently on offer online too. Cardigans and Jumpers start from £4 for a lovely scalloped edge cardigan up to £8 for an older girls long line cardigan. The scalloped edge cardigan comes in navy, red, royal blue, grey, burgundy and black. I had a quick look in my local store the other day and I liked the feel of the boys school trousers compared to others and I will probably be doing my school wear shopping at Sainsburys. 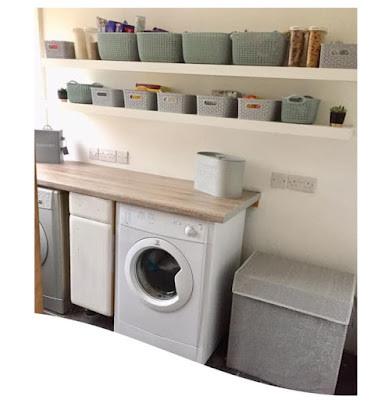 I have had a quick look online and although their Tu range isn't available online you can go and have a look at some selected pieces that they show for reference. White polo shirts in a five pack from £5.50 or a three packs of unisex polo shirts from £3.50 in a variety of colours including yellow, light blue, navy, red and more. There is more instore as with the other supermarkets and there is plenty to choose from in size and style. I have heard that their next 25% off event is due on Tues 19th August, please don't hold me to it but I will be there first thing if it definitely is! Keep an eye out though, just incase! School uniform is also available from John Lewis, Debenhams, BHS, Marks and Spencers, Next and many more retailers both instore and online for all of your Back to School needs this Summer.